Erik Larson's "The Devil in the White City" is the kind of book that always seemed destined to land on screen. Now, the long-gestating adaptation shepherded by Martin Scorsese and Leonardo DiCaprio has found a new home at Hulu. The network announced today that it would be partnering with Paramount TV to develop Larson's novel into a series, the latest step in a decade-long process to make a filmed adaptation of the book. Monday's announcement describes the basis for the new project as "the spellbinding and chilling true story of two men, an architect and a serial killer, whose fates were forever linked by The Chicago World's Fair of 1893. Each embodying American ingenuity at the dawn of the 20th century - Daniel H. Burnham, a brilliant and fastidious architect racing to make his mark on the world and Henry H. Holmes, a handsome and cunning doctor who fashioned his own pharmaceutical 'Murder Castle' on fair grounds - a palace built to seduce, torture and mutilate young women." "The Devil in the White City" has been a project in the works far preceding the rise in prestige TV. DiCaprio has been attached since the beginning, originally announced to play Holmes when his production company Appian Way picked up the rights to the book all the way back in 2010. Scorsese originally entered the mix five years later, when the aim was still to make it a feature film. 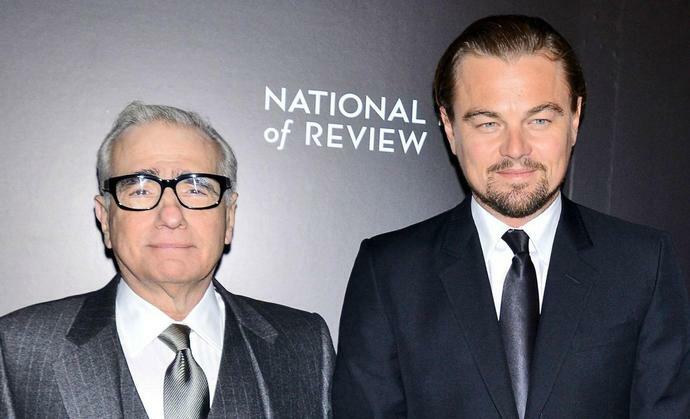 Whether or not Scorsese and DiCaprio have a direct involvement in the project beyond being executive producers, this adds to the potential list of projects for the director/star pair, who have also been previously attached to a Teddy Roosevelt biopic among other projects. The last completed project the two worked on together was Fisher Stevens' 2016 climate change documentary "Before the Flood." AT&T expectedly sells its stake in the video-streaming service. Hulu paid $1.43 billion for AT&T&apos;s stake, leaving Disney and Comcast as joint owners of the streaming service. AT&T said it will use the proceeds from its asset sale to lower its debt load. Comcast Corporation (NASDAQ: CMCSA), a 30-percent owner of Hulu, indicated in its 2018 results it's stake contributed a loss of $454 million, which Morgan Stanley's Simon Flannery says implies Hulu as a whole lost $1.5 billion last year. The math translates to a loss of $145.2 million in 2018 for AT&T, or 2 cents per diluted share.